Freshwater leech's rear sucker. 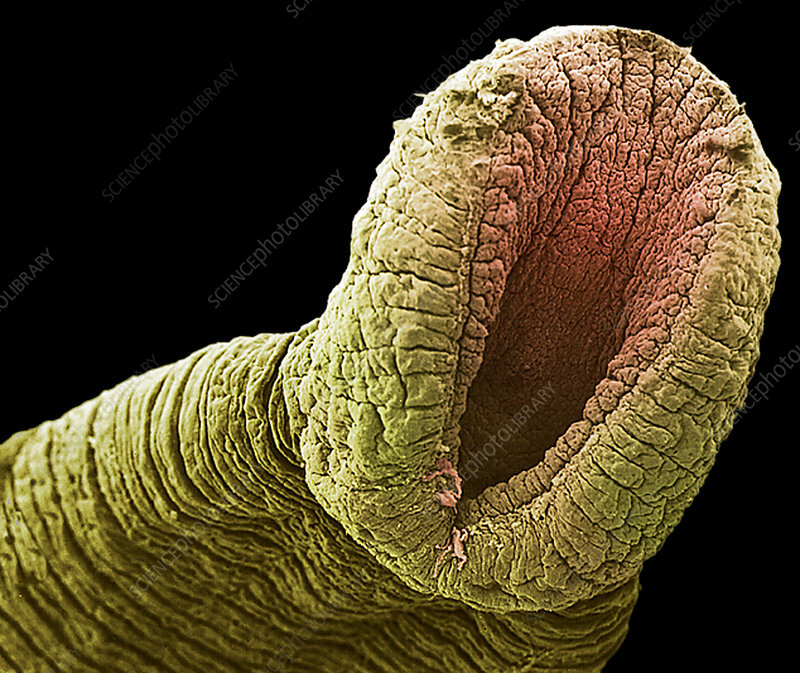 Coloured scanning electron micrograph (SEM) of the rear sucker of a freshwater leech (family Hirudinidae). This parasite has two suckers, one at each end of its body, that it uses to attach itself to the skin of its victim whilst it drinks their blood. The mouth is contained within the head sucker. Freshwater leeches are found in lakes and marshes, as well as slow-flowing streams. They feed on the blood of fish, amphibians and mammals.